This site provides 8-night itineraries here for all of the year (published about six months ahead), as well as itineraries a night or two shorter (more of these are coming…). 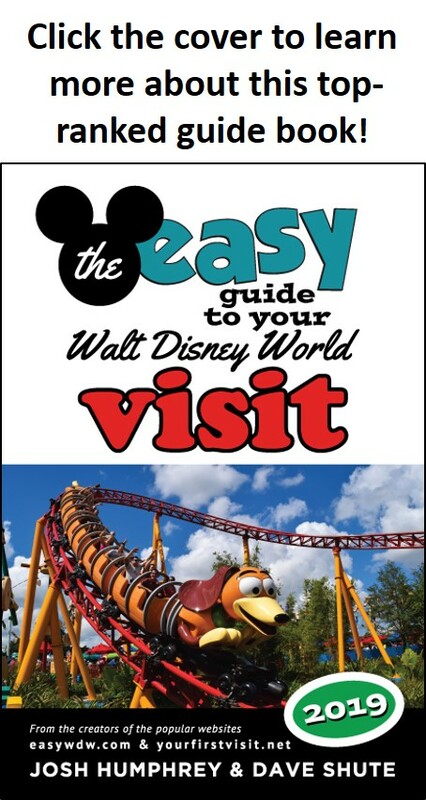 Beginning for June 2014 travel dates, all are based on optimizing the use of FastPass+. If these aren’t enough, here are a few thoughts on designing your own shorter itinerary. For a blank excel version of the itinerary spreadsheet to use for your own itinerary, click here. For a blank PDF version, click here. Divide your days among the parks. You have two different issues here: the overall use of your time at the four parks, and the days you can spend at each. Because you can pre-book only three FastPass+ per park, two half days–and thus six FastPass+–are more valuable than one full day. Around two days at the Magic Kingdom. Work through the following five rules in order. You rarely will be able to design a perfect trip unless you have extra off times that you can move around, so do the best you can. You will need to check the Disney calendar while doing this. It’s easier to work with the individual park calendars. To view a day–for example, to figure out if and when Fantasmic or Wishes is on that day–go to the individual park’s monthly calendar and click within the date you are curious about. 3. Otherwise, avoid Magic Kingdom on days where it has the evening shows in the middle of a stretch of days where it doesn’t. 4. Make sure that Fantasmic is playing one of your Hollywood Studios days. Fantasmic is on almost–but not quite–every night. See this for various meal and show options ranked in order. Hey Dave! We have a trip planned soon—September 6-10. Arriving on the 6th to Yacht Club in the early morning, and are planning to be at Epcot all day. Next day Halloween Party is taking place at MK, but we don’t want to go. The only problem is, when we booked fast passes, we hadn’t checked the Halloween party dates, so we booked MK that day, meaning we have to leave at 6:00. That night we have the Spirit of Aloha show at Polynesian booked at 8:15. We have the Disney Dining Plan(for free), and my question is, do you think the spirit of Aloha show is worth the 2 table Service credits, or should we spend them on something else. Also, what are your thoughts on our park days? We have tickets for the 10th too, but that is our departure day, so probably just a half day at whatever park we feel like visiting again. Finally, what are your thoughts on Cinderella’s Royal Table? We weren’t able to get a reservation, but the kids really want to go. Do they even allow standby at cinderellas, and if so, do you think it’s worth the wait? Hi Rylee, so long as you arrive early (before morning EMH starts) 9/7 should be a great day at MK–the early close causes people not to come, which reduces waits. Your other days look fine. I don’t think the luau is worth the cash price, much less two credits, but you may not be able to book great other options so close to your arrival date. CRT does not do standbys, but you can refresh looking for cancellations, which do happen. We are planning a 14-day trip for June 1-15, 2019. When will Disney have park calendars for those dates available? It is hard to plan meals when I don’t know which parks to aim for or avoid. We are doing a long trip because we have 5 people with special needs, so we plan a lot of shorter days, with a few resort days. My Mom will also be sitting out some of the days due to doing dialysis. I will plan to do rides she can’t do with my teens for those days, and do shows and wheelchair accessible rides with her on other days. We will also have a DAS for my autistic son. So, there is a LOT of planning to do and a standard itinerary is not going to work for our family. I am really appreciating your website for helping with all the planning. Your room photos and floor plans are amazing. They helped me pick a room that will work with my unique family. The floor plans allowed us to plan where we could park multiple wheelchairs and ECVs, and we could see which rooms just wouldn’t work for us. First, Ann, thanks for the kind words! Disney puts its calendar out these days literally 180 days ahead, so it does make it hard to plan for dining in particular. There’s only a few restaurants that you need to book at 180, so one approach would be to book them on several different days and then cancel whichever ones later seem to be bad days at those parks. Thank you so much for this wealth of information you have compiled to share. So thorough and thoughtful. The most helpful site so far! Hi Dave, not sure where to ask this….but wondering which of these FP+ are the hardest to get? Wondering which days we should make at the end of our vacation so that we can get FP easier. We haven’t been in a few yrs so these are new to us. Flight of Passage (and the other new Pandora ride, which I will do instead of Flight b/c I get motion sick), Slinky Dog Dash, Frozen Ever After. We are also very interested in the new Mickey and Minnie railway but know it’s not open yet; probably will be by Thanksgiving week. Thank you! Hi Jane, right now it’s FOP, Slinky Dog, and Seven Dwarfs. Frozen Ever After does not much merit re-rides, so FP+ demand for it is OK. I’d bet Mickey and Minnie’s Runaway Railway will become the hottest FP+ after ride reviews start coming out.